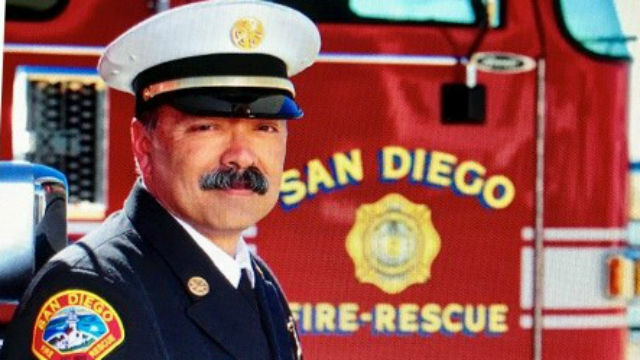 The City Council Tuesday confirmed Mayor Kevin Faulconer’s appointment of the San Diego Fire-Rescue Department’s assistant chief of business operations as interim chief. Kevin Ester was confirmed on an 8-0 vote. Councilwoman Barbara Fry was absent. Ester takes over from Brian Fennessy, who had been the department’s chief for 2 1/2 years of his 28-year tenure with the SDFD. Fennessy, who’s last day on the job was Friday, left to lead the Orange County Fire Authority. Ester has held numerous SDFD roles over nearly 33 years, including firefighter, engineer, captain, battalion chief and deputy chief. He became assistant chief of business operations in 2016 and oversaw community risk reduction, the emergency command and data center, logistics, professional standards and human resources in the department. City officials are currently seeking a permanent fire chief. Ester said he is a candidate for the post. Fennessy, 58, was known for revamping the city’s helicopter program, which now has two firefighting and rescue helicopters with night-flying capabilities. He also reduced response times and championed the construction of new fire stations.